At the extraordinary session of the Riigikogu which began at 10 a.m., 15 Acts were passed. They included the Act on Amendments to the State Budget Act, several Acts concerning taxes, Acts concerning the environment, and the Act relating to the ratification of the Rail Baltic Agreement. The Act on Amendments to the Funded Pensions Act and the Investment Funds Act (427 SE), initiated by the Government, extends the choice of pension contracts offered to retiring persons who have joined the pension pillar II (mandatory funded pension). Besides pension contracts with a guaranteed interest rate, life assurance undertakings are able to offer also pension contracts with an investment risk; the amount of pension paid on the basis of such contracts depends on the investments made. In connection with introduction of new contracts, the current principle that only one pension contract can be entered into when retiring is also changed. In the future, unit-holders will be able to enter into several pension contracts, for example, one with an investment risk and another with a guaranteed interest rate. In the future, people who will have accrued less money (less than 50-fold national pension rate which is 8797 euro at present) by the moment of retirement will be able to choose between fund pension and a pension contract entered into for a fixed term. So people who will have accrued less money into the pillar II and who do not wish to bear investment risk when they are retired will be able to enter into a fixed-term pension contract where the amount of pension will no longer depend on investment results monthly. Differently from the usual practice, it will also be possible to exchange pension agreements. The Act specifies the rules for calculating the surrender value of a pension contract and the conditions for exchanging contracts. As regards the pillar III, the regulation of insurance contracts for supplementary funded pensions concerning the offering of occupational pension schemes is amended. Besides the contracts entered into so far, life assurance undertakings are thereby given the possibility to offer contracts under which no payments are made before the policyholder has attained the retirement age agreed in the contract. With that, conditions for offering insurance contracts for supplementary funded pensions are created that could increase employees’ motivation to accrue pension for their employees. 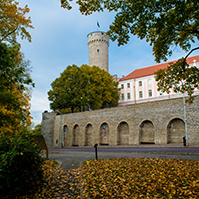 The Act transposes into Estonian law the relevant EU directive on minimum requirements for enhancing worker mobility between Member States by improving the acquisition and preservation of supplementary pension rights. 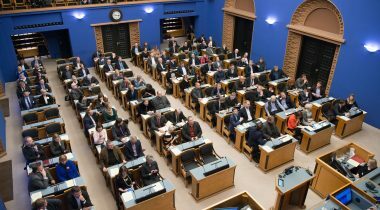 74 members of the Riigikogu voted in favour of the passage of the Act and there were four abstentions. The Simplified Taxation of Business Income Act (454 SE), initiated by the Government, establishes a special taxation scheme. To implement it, a taxpayer has to open a special type of account – business account – in a credit institution. If a natural person starts to use such an account, this is deemed to be opting for such a special taxation scheme. The tax liability is performed by automatic reservation and transfer to the tax authority of the tax amount (in most cases, 20 per cent of the incomes received) from the funds received in the account of the beneficial owner of the income. The administrative burden is as low as possible – the taxpayer has no obligation to keep accounts or to submit tax returns. The Act will facilitate micro-business and improve the tax behaviour of micro-undertakings. To achieve that, the performance of the tax liability arising from the provision of a service and the sale of goods by natural person is simplified. A special taxation scheme is established where the data necessary for the taxation are submitted and the tax liability is performed in a simplified way. 81 members of the Riigikogu voted in favour of the passage of the Act and there was one abstention. In the Sugary Drink Tax Act (457 SE), initiated by the Government, sugary drink with a sugar content of at least 5 grams per 100 millilitres of drink, or with a sweetener added, is the object of taxation. The tax rate depends respectively on either the sugar content or the adding of sweetener. The term “sugary drink” also covers milk-based drinks, that is, milk drinks, containing sugar or sweetener. Such drinks include for example sweet drinkable yogurts, kefirs, as well as sweet plant milks, for example soy milk. A permission to grant state aid for sweet milk drinks and 100 per cent fruit and vegetable juices will be applied for from the European Commission, and thereafter they will be excluded from the scope of regulation of this Act. Sweet milk drinks and juices will not be subject to the sugary drink tax once the permission is obtained. In order to allow time for producers to change the recipes of their products if they wish, and for consumers to become used to new tastes, the Act provides for a two-year transition period for the taxation of drinks with a higher sugar content. In relation to the implementation of the Act it is also worth noticing that, as at 1 January 2018, not all sugary drinks in interim warehouses of Estonia will be taxed automatically. Sugary drink delivered to the Estonian interim warehouses is subject to tax upon making it available for the first time upon issue from the warehouse, and tax liability arises only in the case of a sugary drink that is issued to make it available in Estonia. Sugary drink exported from Estonia do not have to be taxed. All drinks delivered to places of sale before 1 January 2018 will be exempt from tax. Places of sale do not have so many possibilities for storage as interim warehouses do, and therefore such drinks are not subject to tax with a view to reducing the administrative burden. 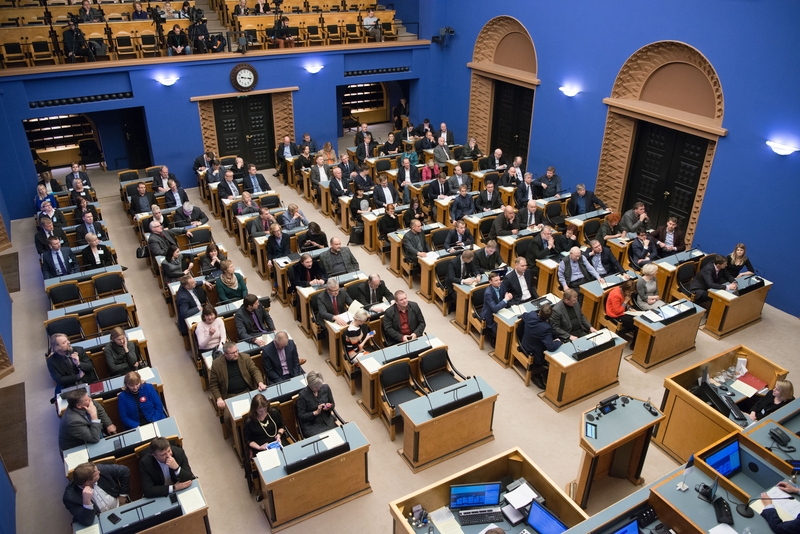 Aivar Sõerd (Reform Party), who took the floor during the debate, said that there were a number of unsolved problems relating to the Act, and stated that the Reform Party Faction did not support the passage of the Act. Monika Haukanõmm (Estonian Free Party) also stated that the Act was unacceptable to their faction. Heljo Pikhof (Social Democratic Party), however, expressed support to the Act. 52 members of the Riigikogu voted in favour of the passage of the Act and 37 were against. The Act on Amendments to the Income Tax Act, the Value-Added Tax Act and the Traffic Act (458 SE), initiated by the Government, amends the rules for the taxation of share options provided for in the Income Tax Act, provides for a lower income tax rate of 14 per cent for regular profit distributions of companies, establishes an “advance income tax” for credit institutions and amends the bases for calculating the price of the fringe benefit for the use of automobile. According to the Act, in the future, upon enabling the use of an enterprise’s automobile both for work-related and personal trips, fringe benefit can be declared only on the basis of kilowatts, regardless of the distance covered in private trips. The price of the fringe benefit for the use of automobile is determined, according to the Act, on the basis of 1.96 euro per unit of engine power of the automobile indicated in the traffic register, and 1.47 euro per unit of engine power of the automobile if the automobile is older than five years. A resident natural person has the right to deduct increased basic exemption of 2160 euro for his or her resident spouse, if the spouse has not deducted it, from the income which the resident natural person receives during the period of taxation. The amount deducted additionally may not exceed 50 400 euro. The amendment concerns already the declaration of this year’s incomes in the beginning of next year. The Act specifies the procedure for the taxation of hidden profit distributions. The provision on tax evasion that is added specifies that the Tax and Customs Board may charge income tax on a loan granted to a shareholder or a member if the circumstances of the transaction indicate that it is essentially a profit distribution. If the term for repayment of a loan granted to the parent undertaking or a “fellow subsidiary” is longer than 48 months, the obligation to prove the ability and intention to repay to the loan lies with the taxpayer at the request of a tax authority. According to an amendment, employer’s business-related expenses incurred to transport an employee employed on the basis of an employment contract between his or her residence and his or her place of employment if the place of residence of the employee is located at at least 50 kilometres distance from the place of employment or if the employer organises the transport with a vehicle that has at least eight seats or with a bus within the meaning of the Traffic Act, is not deemed to be fringe benefit. The Act enters into force on 1 August this year, but some provisions of the Income Tax Act and the Value-Added Tax Act enter into force on 1 January 2018. Maris Lauri (Reform Party), who took the floor during the debate, expressed dissatisfaction with the Act and the course of the proceedings on the Act. Andres Ammas (Estonian Free Party) said that the Government’s fiscal policy was chaotic and pointed out the shortcomings of the Act. Mart Helme (Estonian Conservative People’s Party) joined the positions of the representatives of factions who had spoken earlier, and was also critical of the Act. He agreed with the position that the passage of the Act could not be supported. 53 members of the Riigikogu voted in favour of the passage of the Act and 36 were against. The Act on Amendments to the State Budget Act (456 SE), initiated by the Government, provides for increasing the informativeness of the state budget. 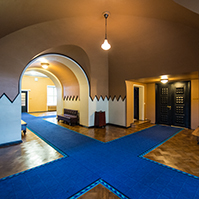 For that, information concerning the three years following the budgetary year will be submitted to the Riigikogu together with the state budget. The Act is intended to reduce bureaucracy. For that, the budget strategy and the budgeting processes are merged. The Act provides for looking at fiscal policy in a several years’ perspective, for which the rule of budget balance will be observed as an average of several years. The surpluses of earlier years will be enabled to be used to make investments to the extent of up to 0.5 per cent of GDP. 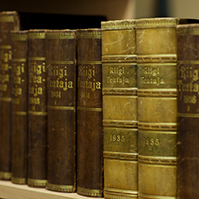 The Act preserves the classification between the ministries in the state budget, according to which the obligation for the Government to submit the budget strategy to the Riigikogu immediately after approval is restored. The Act provides that, as a general rule, it is possible to change the distribution between the areas of government of the ministries only with amendment of the state budget. Andres Herkel (Estonian Free Party), who took the floor during the debate, said that the Free Party Faction did not support the passage of the Act because taking the state budget into deficit was unacceptable. 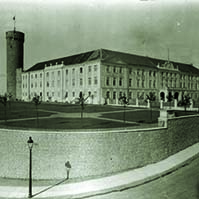 Jürgen Ligi (Reform Party) said that so bad an Act had not been passed in the Riigikogu for long years. 53 members of the Riigikogu voted in favour of the passage of the Act and 38 were against. The Act on Amendments to the Fishing Act and the Environmental Charges Act (452 SE), initiated by the Government, will enhance the reporting relating to recreational fisheries. The provisions of the Act are also specified to implement European Union law which is necessary for better operation of the point system for infringements by masters of fishing vessels. In addition, editorial amendments and amendments arising from practical implementation are made to the current Act. In the future, recreational fishermen fishing on the basis of fishing cards will not be punished under the misdemeanour procedure for failing to submit catch data. Fishing card will be necessary when fishing gear with greater impact, like entangling nets or longlines, are used in recreational fishing, and also when spinning reels are used for fishing in trout and salmon rivers. A rule is established that, if a recreational fisherman has failed to submit catch data in due time, they are not issued a fishing card. Up to now, a similar rule has been in force with a precondition that the person has to have been previously punished for the relevant offence. As an assessment is given to the situation of the resources and fishing opportunities are allocated on the basis of catch data, the obtainment of accurate catch data is very important. The Act sets a fishing restriction on recreational fishing to preclude sale of the fish caught illegally in recreational fishing. Exceeding the quantity of fish allowed to be caught in recreational fishing, if committed by a natural person, is punishable by a fine of up to 300 fine units. 79 members of the Riigikogu voted in favour of the passage of the Act and 7 were against. The Act on Amendments to the Environmental Impact Assessment and Environmental Management System Act (415 SE), initiated by the Government, transposes the relevant EU directive for the establishment of common minimum requirements for the environmental impact assessment of the ensurance of the protection of the environment and human health. The Act specifies the content requirements for preliminary environmental impact assessment and the report which will improve the content and quality of preliminary estimates. When issuing development consents, the decision-makers will also have to estimate the relevance of the environmental impact assessment report. In justified cases the decision-maker has the right to request an additional expert assessment from the developer – thereby it is ensured that decision-making is based on up-to-date and adequate material. Decision-makers have an additional obligation to take into account and enter into the conditions of the development consent the environmental measures provided for in the course of environmental impact assessment. The Act changes the minimum time limit for the public display of an environmental impact assessment report. The time limit will be 30 days in the future, instead of the current 21 days. Already at present, in the practice of impact assessment, as a general rule, the address of the website where the documents are available electronically is included in a notice regarding the publication of an environmental impact assessment programme or report. However this may not always be the case and therefore the Act is amended by adding the requirement to also indicate the relevant home page address in a notice regarding the publication of an environmental impact assessment report. To better inform the parties to the proceedings and the public, a decision to declare an environmental impact assessment report compliant with the requirements has to set out, among other things, the final conclusions of the report. This will help establish a better connection between the report and the granting of or refusal to grant development consent. 78 members of the Riigikogu voted in favour of the passage of the Act, 7 were against, and there was one abstention. The Act on Amendments to the Atmospheric Air Protection Act (462 SE), initiated by the Government, transposes two relevant EU directives. As the EU has committed to reduce greenhouse gas emissions by 30 per cent by 2020 within the framework of a global agreement, and by 20 per cent unilaterally, all sectors must contribute to the achievement of these targets. A considerable share of the total amount of greenhouse gases in the Union originates from fuel used in transport. The Act will reduce the greenhouse gas emission rate in the transport sector in order to improve the general ambient air quality. The Act provides for an obligation, arising from the Fuel Quality Directive, for the suppliers of fuel, who will have to reduce the greenhouse gas emissions of fuels used in road transport by at least 6 percent by 2020. Also, the reduction required will have to continue every month after 2020. Besides that, information on the fuels and energy used in road transport, including information on the volume, origin and place of purchase, the volume of greenhouse gas emissions, etc., will be collected and transmitted to the European Commission. 76 members of the Riigikogu voted in favour of the passage of the Act and 6 were against. The Act on Amendments to the Nature Conservation Act (implementation of the Nagoya Protocol) (444 SE), initiated by the Government, amends the Nature Conservation Act in order to implement the access to genetic resources and the fair sharing of benefits arising from their utilization provided for in the Nagoya Protocol. Pursuant to the Nagoya Protocol, the aim of the Regulation is to ensure that the genetic resources and associated traditional knowledge used in the EU have been acquired legally from their country of origin. The relevant EU Regulation, which is directly applicable in Estonia, sets an obligation on the Member States to establish a system for monitoring the users of genetic resources and traditional knowledge associated with genetic resources utilised in the country who fulfil the obligations arising from the Regulation. Penalties are imposed for infringement of the requirements arising from the Regulation. The Act appoints the Ministry of the Environment, the Ministry of Rural Affairs and the Ministry of Education and Research as the competent agencies responsible for the implementation of the Regulation. In the Nagoya Protocol, any material of plant, animal, microbial or other origin is regarded as genetic material. Utilisation of genetic resources means to conduct research and development on the genetic and/or biochemical composition. The Act on Amendments to the Radiation Act (463 SE), initiated by the Government, transposes into Estonian law the European Union directive according to which the Ministry of the Environment has to carry out radiation and nuclear safety peer reviews at least every six years. In the case of Estonia, the directive applies to the former nuclear object in Paldiski, and therefore the topic of peer review will have to be chosen taking into account this object. The first peer review will be performed in 2017. In practice, this means that a working group consisting of Estonian experts will perform a self-assessment which will then be sent for review to other European Union Member States. Under the current Act, in addition, also an international audit has to be conducted every ten years. An amendment provides that an audit has to be conducted immediately also in case of a situation of accidental exposure at the Paldiski nuclear object. No accidental exposure situations have emerged in Estonia, and nuclear fuel has been removed from the nuclear object in Paldiski already years ago. 73 members of the Riigikogu voted in favour of the passage of the Act and 6 were against. 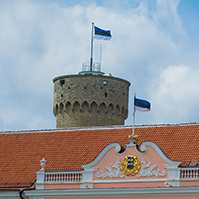 The Act on Amendments to the Atmospheric Air Protection Act and the General Part of the Environmental Code Act (464 SE), initiated by the Government, transposes several European Union legal acts into Estonian law. The Act is amended by adding penal provisions regarding the failure to comply with the requirements for monitoring and reporting of carbon dioxide emissions from maritime transport. Namely, as of 1 January 2018, all owners of large ships have to monitor carbon dioxide emissions on their voyages and to report on it annually. The regulation relating to the handling of fluorinated greenhouse gases, or F-gases, is also specified. F-gases are industrial gases that are used for example in refrigeration and air-conditioning equipment and heat pumps and fire protection equipment. An amendment creates the possibility for owners of equipment containing F-gases to store in their premises a container containing F-gas collected from equipment if this activity has been registered in FOKA Registry. A provision is also added to the effect that, as of 1 January 2017, the public list of the holders of a permit to handle equipment containing F-gases has been transferred to the register of economic activities. Earlier, this list was available on the website of the Environmental Board. In addition, liability provisions, that is, elements of misdemeanour that so far were lacking in Estonian law or needed improvement, are established for the implementation of the EU F-gases Regulation. The Atmospheric Air Protection Act is amended by adding a provision that allows reclamation of supports granted from GHG emissions trading revenues. The amendment was due to the fact that, up to now, it was impossible for the body granting support to seek compulsory enforcement of decisions to reclaim support. At the same time, the Act partially transposes the directive on the regulation of emissions into the air from medium combustion plants. In connection with that, the requirements for the storage and submission of data related to air pollution permits are specified. Namely, in the future, data will have to be stored for six years instead of the current five years. The Act on Amendments to the Environmental Monitoring Act (443 SE), initiated by the Government, provides that, in the future, the data collected through the national environmental monitoring will be stored and processed in the environmental monitoring database which will be established by the Minister of the Environment. The amendment will save time in pooling and making available monitoring data, and ensure more informed decisions and more reliable assessments of the state of the environment. Environmental monitoring is meteorological and hydrological monitoring, monitoring of the air, groundwater, inland water bodies, coastal sea, diversity of wildlife, landscapes and forests, integrated monitoring, radiation monitoring, seismic monitoring and soil monitoring. 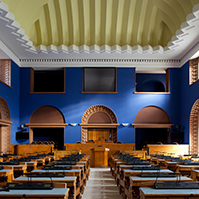 81 members of the Riigikogu voted in favour of the passage of the Act. The Act on Amendments to the Police and Border Guard Act and the Rescue Service Act (416 SE), initiated by the Government. The Police and Border Guard Act is amended by adding the legal basis for the establishment of the database of the organisation of the guarding of the state border (KILP). KILP will be a database the main aim of which will be to create the capability for the police to observe the state border in real time to ensure the security of the country. KILP will mediate data and information received from various administrative agencies, sensors, platforms and other sources. The information will be exchanged within the Police and Border Guard Board and with other administrative agencies through secure data transmission and information channels in order to achieve situation awareness and to support response capability on the external border. The Act also creates the possibility to temporarily promote in the service rank a police officer participating in an international organisation or a civil mission. The current procedure does not provide for that. 76 members of the Riigikogu voted in favour of the passage of the Act, one was against, and there were 5 abstentions. The Act on Amendments to the State Assets Act (455 SE), initiated by the Government, provides at the level of Act for election of members of supervisory boards of state enterprises by an appointment committee. To ensure the stability and greater independence of the work of the appointment committee, a regulation is established that creates the possibility for it to operate as a permanent body. The right of the Minister of Finance to appoint a half of the representatives of the state to the supervisory boards of partially state-owned companies is repealed. The obligation of the Minister of Finance to regulate the limits of the remunerations paid to members of the supervisory boards of partially state-owned companies is also eliminated. In the future, a state-owned company will be able to pay subsidies of its area of activity only for research and development activities. Larger state enterprises will begin to follow the rules for disclosing information for publicly traded companies. The Act on the Ratification of the Agreement between the Government of the Republic of Estonia, the Government of the Republic of Latvia and the Government of the Republic of Lithuania on the Development of the Rail Baltic/Rail Baltica Railway Connection (449 SE), initiated by the Government. The Agreement as a legally binding document establishes the obligations of the countries that are necessary for the construction of the RB railway connection through the Baltic States to Central Europe. The Agreement fixes the general technical parameters, route and construction deadlines of RB. The preliminary conditions for the construction of RB and who has to fulfil them, and the role of Joint Venture RB Rail AS in fulfilling the preconditions and construction of the RB until its complete readiness for use are agreed upon. The Agreement regulates the ownership issues of the infrastructure and the land under it, and the conditions for financing the construction. Ensuring of access to the RB infrastructure is agreed upon and general guidelines for appointing the railway infrastructure company for the management of RB are given. During the second reading, a provision was added to the preamble of the Act, according to which the construction action plan for the Estonian section of Rail Baltic for the budget year, indicating the planned investments by constructions and their estimated cost, would be annexed to the annual State Budget Act. The Government of the Republic informs the Riigikogu on an ongoing basis of the issues relating to the establishment of Rail Baltic, and submits an interim report on the project annually to the Economic Affairs Committee of the Riigikogu. Artur Talvik (Estonian Free Party), who took the floor during the debate, referred to uncertainty and vagueness in relation to the establishment of the route. He stressed that, before the agreement could be ratified, answers would have to be received to the questions that were in the air. Igor Gräzin (Reform Party) presented his positions on the establishment of the route and referred to the need for reservations in order to ensure a solid funding of the project by the EU. Jaanus Marrandi (Social Democratic Party) drew attention to the fact that they were speaking of an inter-state cooperation agreement on the development of a railway connection. He considered the establishment of that connection important, and found that it was a project with a future. In Martin Helme’s (Estonian Conservative People’s Party) opinion, no convincing arguments had been presented in connection with the construction of Rail Baltic. In his opinion, that was a large cost project that would produce losses. Jürgen Ligi (Reform Party) stressed that the matter was indeed about connecting Estonia with the Western world, but at the same time he admitted that he personally could not cast his vote in favour because he did not like the problems relating to geopolitics. Toomas Kivimägi (Reform Party) said that “the train had left already”, and they could not give up establishing the route because the project had been launched and the only way was to go on with it. Jüri Adams (Estonian Free Party) discussed the multitude of opinions in connection with the realisation of the project and stated that he would vote against the Act. Andres Metsoja (Pro Patria and Res Publica Union) referred to the need to establish fast connections and the solution of the problems of the periphery. He underlined that a decision had to be made. In Metsoja’s opinion, the route would have an impact in terms of regional development. Mart Helme (Estonian Conservative People’s Party) said that the project was tried to be designed on the basis of false information. He called on MPs to express their firm position in the vote. 63 members of the Riigikogu voted in favour of the passage of the Act and 20 were against. All items on the agenda were deliberated, and therefore the extraordinary session of the Riigikogu convened for 3 p.m. will be cancelled. The sitting ended at 1.30 p.m.